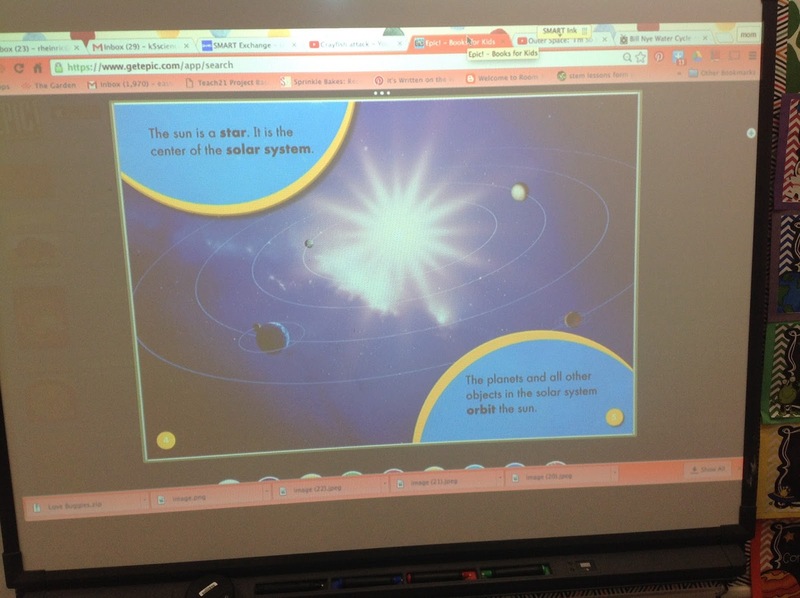 My little kinder buddies are learning about Space in our next unit. It seems pretty far fetched for them to understand, but I think they kind of get it! Let's pretend that our nose is your hometown. 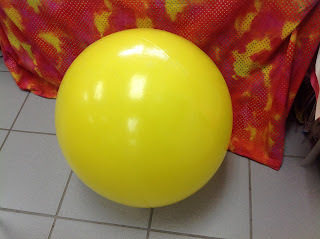 We use a big ball to represent the sun! 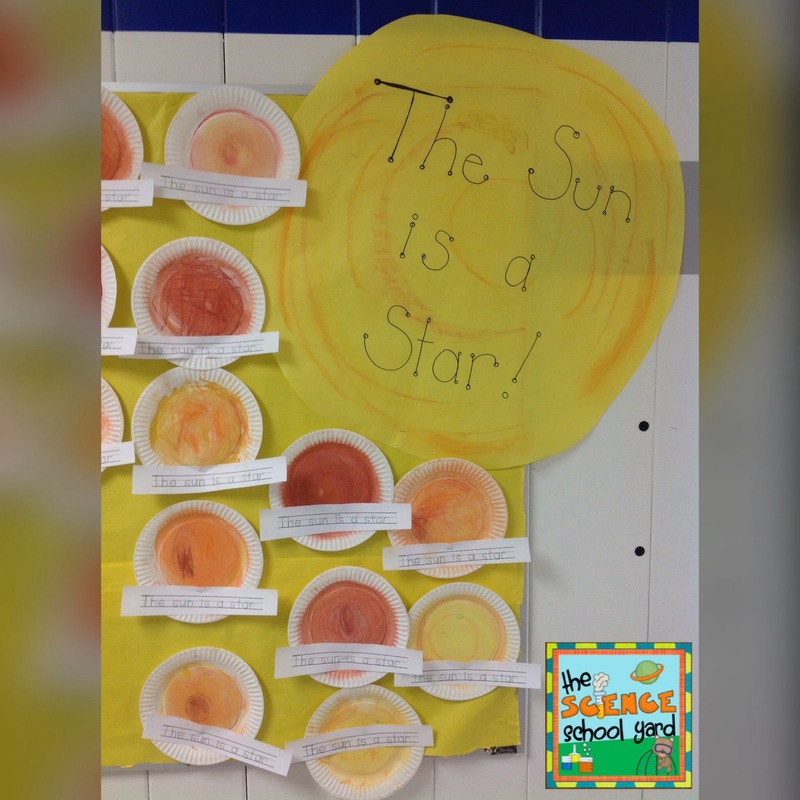 Next, we lean toward the sun and we check out where our nose is...Summer time in your hometown! Now, we straighten up...Fall! Followed by leaning way back...Winter! Finally, Spring is straight up and down again! We discuss the seasons and why it is cold now in Wisconsin. I let them figure it out by redoing our leaning in and out! Now, we have to learn day and night! That sun is still in the middle of our circle. We jump our noses to the outside of the circle. Jumping is so much fun! Then we jump back to face the yellow ball! Day and night. We now add waking up...when we eat...when we go home...when we sleep. Again, they seem to get it! I love EPIC books! 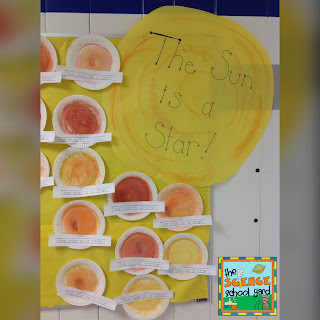 I use their Sun book to project and read. 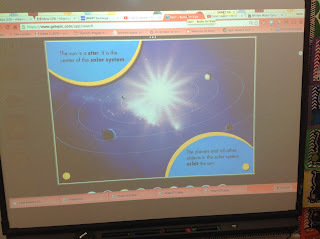 We then add what we learned to our anchor chart!